Medidas: 254 x 136 mm. Medida del raíl: Nack 7 x 9,3 mm. 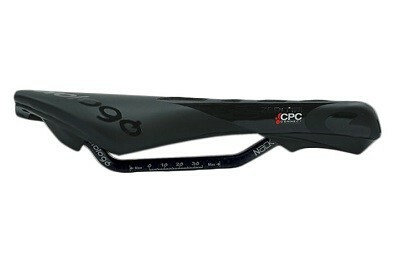 The ZERO TRI Pas CPC Nack saddles are available with the NACK rail, a nano structure carbon fibre that integrates kevlar and aluminium fibers in order to provide a superlight rail with reduced deformations compared to standard carbon. Oversize shape 7 x 9,3 mm.